How does Six to Six compare to other local schools? Six to Six is a Connecticut public school. Public School Choice Legislation allows parents to choose where they would like to send their child to school and we are one of those options. There are likely similarities and differences between Six to Six and your local district school. Like most schools across the state, our K-8 curriculum is aligned with the Connecticut Core Standards and our preschool curriculum is aligned with the Connecticut Early Learning and Development Standards. High academic standards in a child-centered learning environment. NAEYC accreditation for our full-day preschool and kindergarten program. A school community that reflects and embraces diversity. Families actively engaged in school governance and volunteerism. Responsive Classroom and Positive Behavioral Interventions and Supports. The opportunity to experience the continuity of preschool through eighth grade in a nurturing learning community (Our upper school building is called the Thurgood Marshall Middle School for Social Justice. This is not a separate school, but part of our preschool through eighth-grade school.). The opportunity for children to participate in buddy classroom experiences with children in other grade levels. The option for children to participate in chorus starting in kindergarten and in musical instrument lessons starting in Grade 3 (instruments are provided for free and lessons are during the school day). Spanish: Students participate in Spanish instruction in every grade level, including preschool. The focus of the Spanish instruction is to develop children’s ability to express themselves in Spanish and become familiar with the cultural diversity of the Spanish-speaking world. In our program, pre-K through Grade 6 focus on learning songs, building vocabulary and communicating with others. Students in Grades 7-8 meet four times a week and use the foundational vocabulary to work at a higher level of Spanish to prepare them for Spanish II coursework in high school. Science: Science curriculum is enriched through allied partnerships with the Maritime Aquarium, the Eli Whitney Museum, and the Lewis Center (a partner of NASA). These partnerships provide opportunities that range from building a working violin to study sound, exploring a salt marsh as a part of an environmental study, or controlling a radio telescope as a continuation of light, sound and planetary studies. As a school we value innovative learning by exploring and piloting STEM aligned projects and programs like Project Lead the Way, JASON, and Engineering is Elementary. Children also enjoy trips to Webb Mountain in Monroe, Yale Peabody Museum in New Haven, Short Beach in Stratford, Audubon Society of Fairfield, Great Meadows Marsh in Stratford, Old Mine Park, and the Milford Audubon. Six to Six students participate in the CT Science & Engineering and the Girls’ Science Olympics at Lauralton Hall High School in Milford. Technology: Preschool through Grade 8 classrooms have interactive whiteboard technology. We have laptop computers on mobile carts for Grades 3–8 (one per grade level), 24 personal computers in the Library computer lab, 22 Chromebook laptops, 30 Samsung Tablets, digital cameras, Flip video cameras, a 3D printer, and various Vernier science probes and meters. Each student (K-8) engages in a weekly class on library/technology skills. This class focuses on mouse and keyboarding skills, digital citizenship, presentation and spreadsheet software, coding, and robotics. Math: Teachers use a variety of curriculum resources and approaches to plan high-quality experiences to build students’ conceptual understanding of math. These curriculum resources include, but are not limited to, Creative Curriculum, The Project Approach, TERC Investigations, Exemplars, Bridges, Big Ideas, and websites including IXL and Khan Academy. Literacy: Teachers support students in becoming life-long readers and writers through using a variety of approaches and curriculum resources, including Reader’s and Writer’s Workshop from Columbia University, Expeditionary Learning, Creative Curriculum and The Project Approach. The Wilson Fundations word study program for Grades K-3 builds children’s phonemic awareness, phonics and spelling skills. In addition to many local field trips, students visit Washington, D.C., New York City, and Nature’s Classroom. Who manages Six to Six Magnet School? 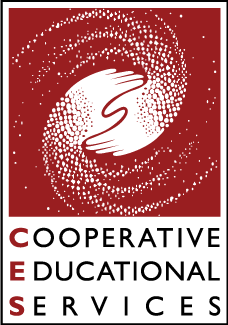 Cooperative Educational Services (C.E.S.) manages Six to Six Magnet School. C.E.S. is one of six Regional Educational Service Centers in Connecticut and services 17 Fairfield County school districts. Our school also has a site-based School Planning and Management Team that includes parents, as well as staff and administration. The C.E.S. Representative Council serves as our Board of Education. How is the Six to Six Magnet School funded? We are funded through a combination of Connecticut State Department of Education (CSDE) grants and district tuitions. There is a family tuition for the preschool program and before- and afterschool programs. We also have received funds from grants, area foundations and corporate donations. How many students attend Six to Six? What are the typical class sizes? There are approximately 470 students at Six to Six and a typical class has about 20 students. There are four mixed-age preschool classrooms and two to three classrooms at each grade level from kindergarten through Grade 8. Applications will be accepted through www.ces.k12.ct.us/admissions until March 8, 2019. Each year a waiting list of applicants is generated through a blind lottery. A separate lottery is held for applicants from each town/city by grade level. Children are admitted to Six to Six based on the availability of space and their number on the waiting list. In each grade level there are students from our member districts of Bridgeport, Stratford, Fairfield, Trumbull and Monroe. Children from other towns may be admitted to fill a vacancy when we reach our agreed upon maximum student enrollment from our listed member districts. You can view the waiting lists in our main office any time after April 1, 2019. Information regarding a child's standing on the waiting list cannot be given over the phone or through email. You will only receive communication from Six to Six if there is a space being offered to your family. We will notify families of vacancies by phone or mail as early as April and as late as September. How are families engaged at Six to Six? Families and teachers must be partners in order to support a child to achieve high levels of academic success. Each grade has a Family-School Compact which outlines how families and teachers work together to support children in achieving specific grade-level goals. Families actively engage in school governance and volunteerism. In regard to school governance, parents serve as members of our School Planning and Management Team. Parents are also encouraged to volunteer in classrooms and actively participate in our Parent-Teacher-Student Association. What are some of the ways that Six to Six meets the needs of all learners? We have a low staff-to-student ratio that allows for differentiation of instruction. Our staff also includes specialists/coaches in the areas of Literacy, Math, Science, and Technology that support teachers in developing and implementing curriculum that meets the needs of all learners. Our staff includes Math and Literacy interventionists to provide small group and individualize support as needed. Six to Six and the sending district work collaboratively with all special education cases. We are a public school and provide all special education services required under state law. The sending district is financially obligated to cover the cost of special education for a student and actively participates in all aspects of the process. Transportation to interdistrict magnet schools is not mandated under Connecticut law. Families from Bridgeport, Stratford, Fairfield, Monroe and Trumbull are provided transportation for K-8 students (Click here to find their telephone numbers). No other district provides transportation to and from the school. Preschool students must be transported by the family. Transportation is not provided for families to attend before- and after school. There is a state daily reimbursement that families can access if they reside in a town for which transportation is not provided. What before- and afterschool programs and extracurricular activities do you offer? Before- and afterschool rograms are parent fee-based programs. The cost for before-school is $50 per week. The cost for afterschool is $100 per week. The cost for both is $150 per week. On average we have 38 weeks in an academic year. We staff before- and afterschool with our own employees. Before school is available from 6 a.m. to 8:15 a.m. Afterschool is available from 3-6 p.m. We offer a daily program ($10 per day for before-school and $20 per day for afterschool) which requires a contract and payment a month in advance. Six to Six does accept Care4Kids State Subsidies. Six to Six also provides afterschool club options each trimester. Some clubs that have been offered in recent years include Running, Circuits, Ballroom Dance, Chess, Yearbook, Cheerleading, Spanish, and Book Clubs. The afterschool club fee is $15 for each club for the duration of the trimester. What safety and security features does the school have? Staff and children practice fire, evacuation, and lockdown procedures each year. The doors of the school are locked at all times and individuals must ring a doorbell to be allowed access to the building. All staff members enter the building with badge access only. There are cameras that can be used to monitor the outside and the inside of the building. There is an intercom system to convey messages to the whole school in the event of an emergency. Each classroom has a door lock that can be locked from the inside and classroom doors are kept in locked position. The main office has a panic button that indicates an emergency to first responders. What is the tuition for the preschool program? The preschool program is $110 per week for the school day of 8:15 a.m. to 3 p.m. Tuition is due every Monday of the school year. On average we have 38 weeks in the school year. Six to Six does accept Care4Kids State Subsidies. How should I interpret standardized test scores? Six to Six is required to participate in statewide standardized testing. In the past, students completed the Connecticut Mastery Test (CMT) and currently complete the Smarter Balanced Assessment Consortium (SBAC) tests. This test is one tool used to measure student performance. We utilize the standardized testing results to inform our annual Comprehensive School Improvement Plan. We are proud that our student cohorts continue to improve performance each year. We have been recognized as one of the highest performing Connecticut schools in regard to closing the achievement gap for minority student subgroups.